Building bases and defending them against waves of enemies is a pastime nearly as old gaming itself. There’s even a whole genre about it! Tower defense keeps mixing itself up with other genres, and the end results have been some delicious chocolate-and-peanut butter-like concoctions. Now you can add Forts to the list! 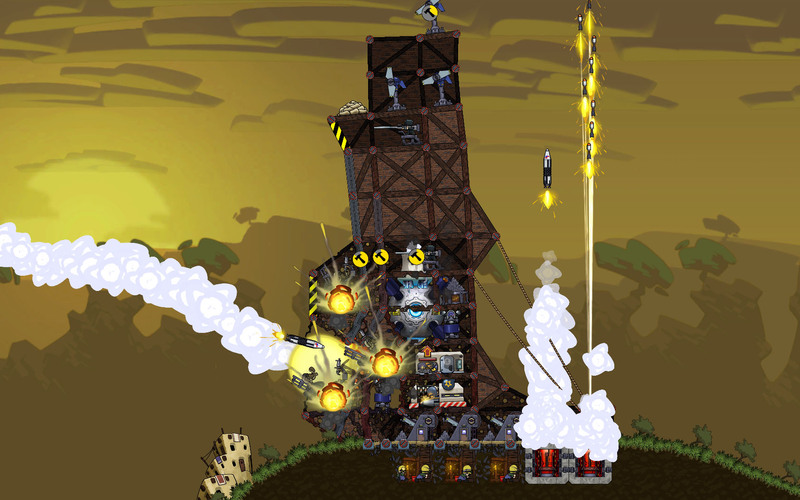 Forts has you and an opponent (either human or AI-controlled) building up physics-driven towers on opposite sides of a map and then unloading on each other with a variety of destructive weaponry. 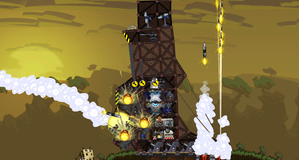 Miners underneath your tower will dig for resources as you build up your defenses. 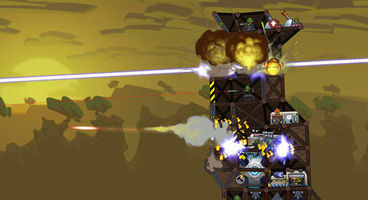 The final game is promising a variety of factions, a tech tree, online multiplayer, a replay system, and a built-in level editor. The trailer below reminded of several other games. 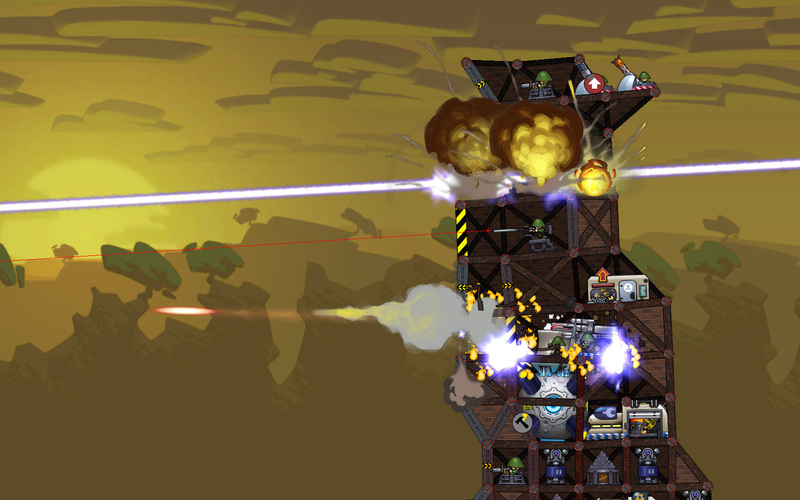 The overly destructive weaponry reminded me of Worms, and precarious tower-building had some World of Goo flavor. And hey, those are two solid bases. There’s also a bit of a mostly-forgotten title called CastleStorm in there, which had a similar take on tower defense. The game is being developed by the Australian indies at EarthWork games, whose previous credits include the Total War games. 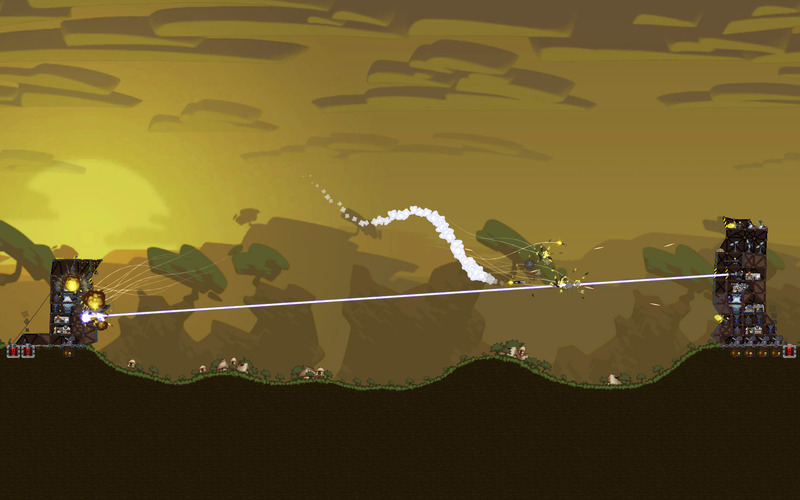 Forts has already passed through Greenlight, and should hopefully be hitting Steam soon. You can check out further details on the official site.